Don't miss the boat on learning one of Android's fastest-growing programming languages. We've got four courses and 105 hours of training in Kotlin for just $34. Grab the Complete Android Oreo with Kotlin Bundle for 95% off at Escapist Deals. Start by installing the development environment and running. Your first Kotlin app. Don't worry if you have zero experience with it - these courses will take you through all the basics, starting with learning how to work with files and ending with building your own apps and games. Use the latest Android release, Oreo, to hands-on practice making apps from scratch. You'll make a calculator, a YouTube-like video player, and a Flappy Bird clone. And you'll even learn how to get your apps on Google Play and monetize them. Get started with Kotlin ASAP. 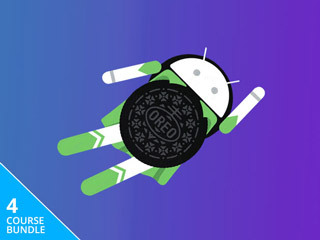 Grab the Complete Android Oreo with Kotlin Bundle for $34 at Escapist Deals.